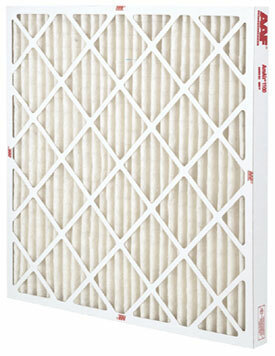 Replacement filters for Honeywell® & Trion® Air Bear® systems. 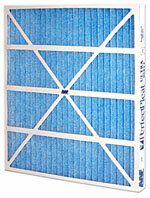 Outperforms all 4 and 5 inch residential air filters. Highly efficient electrostatic filtering material attracts dust and pollen like a magnet. 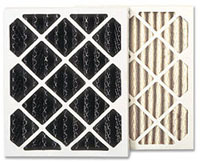 High Efficiency pleated air filter with electrostatically charged synthetic media. Rated MERV 11. Lasts 90 days. 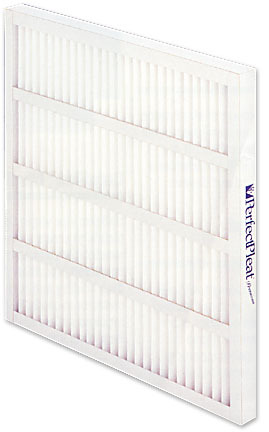 Heavy Duty Premium Grade Pleated Air Filters. 25-30% Efficiency Rating. Rated MERV 6. Lasts 90 days. Premium self-supporting DuraFlex media withstands significant abuse, no need for wire support. 25-30% Efficiency Rating. Patented DuraFlex® Self-supporting media provides uniform pleat height, width, and spacing without the need for wire support. 100% synthetic fibers provides better air flow and naturally resists microbial growth. New, patent-pending, sonically-welded, strong pinch frame design. Helps heating and cooling systems operate more efficiently. Residential/Commercial. Available in 1" depths. MERV 6. Lasts 90 days.